A review of Ducane heat pumps; models and top features. 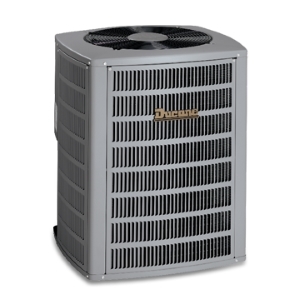 Whether you are looking for an HVAC device for heating or cooling, a Ducane heat pump is an option to consider. It saves money and ensures comfortable home climate. So you were thinking to change or install a new HVAC unit, a unit that will heat, cool and dehumidify, all from one unit? With Ducane heat pumps, you can forget about cold breeze in the winter, warm and soggy indoor air during hot weather, and enjoy your household activities at a more comfortable temperature. Want to know what each of these Ducane heat pumps offers? Come and take a look at the review of each device they offer! Why buying a heat pump is a good option? Not only will heat pumps offer what any other HVAC system can provide, but much more. You don’t need anymore a furnace and AC, one that works in one season and the other in the other season. Many homeowners will invest and install a heat pump instead, mainly because they are often more reliable and long-lasting, environmentally friendly and what is very important – ultra-efficient, helping consumers to save on utilities. They are perfect for climates with moderate heating and cooling needs. Yes, with just one button you can change the purpose of a heat pump, from heating to cooling or vice-versa, including dehumidifying. Some of them don’t even need a button, as with just a simple smartphone app or remote control you can do it as well. When compared to AC systems and furnaces, heat pumps are more than 50% more efficient than ACs in the less productive models – and can be up to 200% more efficient in the best ones. The COP (coefficient of performance) of a standard heat pump is between 2.5 and 4. An AC system often has a COP of less than 2. Although heat pumps may have a high initial price, they cost less in the long run to operate. The process of reusing air and pumping temperature back and forth, makes the heating or cooling process of heat pumps a lot more efficient and financially smart. You may end up saving a few hundreds of dollars in a year. By using an almost 100% electricity-driven heating & cooling method, the carbon footprint of heat pumps is zero. It is the perfect cooling and heating device for those who like to be more “green” with the environment. Both in summer when the air is thicker, and humidity is awful due to hot air condensation, and in winter when the warm air inside your house starts creating condensation, the heat pump will immediately get rid of them. Heat pumps are perfect for clean & dry temperature improvements. With less condensation and less carbon footprint, the air that comes out of a heat pump is much better than the one created by an AC or any other device. The air is merely free of contaminants, dust, spores, odors, or any other particle that could harm its quality. Working at the best speeds and providing the longest cycles in heat pumps you will find, the 4HP16LT from Ducane can offer more temperatures, a superbly quiet operation, and incredible humidity control. It works better with environments below 125ºF. This model offers a 2-stage Copeland Ultra Tech scroll compressor that uses R410a refrigerant. It is extremely quiet and even comes with both high and low-pressure switches, providing much better charge protection. All the fins are made of aluminum while the tubes are made of copper – perfect for efficiency and reliability. The coil is raised, so it prevents loss of airflow and promotes less debris collection. Comes with a base pan for better debris, water & dirt drainage, a paint finish made of polyester that makes it look clean, and a PVC coated wire fan grill for better looks – plus an easy-to-access control panel in the corner, all of these making the 4HP16LT a top-notch model. Superb defrost system design for better power consumption, bi-directional filter for excellent durability, louvered panels for easy cleaning and maintenance, and an outstanding muffler case that makes it one of the quietest despite its high-quality performance. It offers excellent efficiency with SEER 16 rating and a 9.0 in HSPF rating. Comes with Quiet Shift for more efficient and quieter defrost. Offers Dual-Fuel system to work with electricity and gas. The high-quality compressor provides a heavy-duty muffler for peaceful & quiet performance. If you what you’re looking for is saving more energy, then the 4HP15LT Ducane heat pump is the model you need. With variable speed, constant torque, and air handler systems, this model offers great versatility and top-notch efficiency. Single-stage motor with sturdy construction, uniquely designed to reduce energy costs and consumption when compared to older models. It uses RA10A refrigerant. Excellent louvered fins and copper tubing, perfect for those looking for exceptional reliability. Also comes with a discharge design that avoids hot air to go into the affected area. The coil panel comes with louvered protection for increased dependability and low maintenance needs. The panel is straightforward to use and to access while providing a LED diagnostic display, and a pre-wired design for more comfortable connection and disconnection when needed. It also comes with the Bi-directional liquid line. It offers a low-pressure switch to prevent loss of charge, short cycle protection, muffle for more reliability and quiet performance, and Quiet Shift capability to provide increased efficiency. The 4HP15LT comes with an 8.5 HSPF Rating and a 15 SEER Rating. Increased energy efficiency thanks to the high-quality design. Offers a Dual-Fuel system for better energy options. Versatility and efficiency. Much more reliable and long-lasting thanks to a durability-oriented construction. Want to replace an old heat pump or AC for a reliable yet affordable option? Then the 4HP14LT is the perfect choice for you. It offers excellent efficiency and very high-quality construction that will last for years. It comes with a single-stage motor that reduces heating costs and at the same time produces less sound & noise when compared to older devices. And a top-notch construction that provides years of use & dependability without problems – despite having a low-quality performance. The fan motor is permanently lubricated, so it reduces maintenance and at the same time offers more efficiency. The condenser coil delivers copper tubing and a louvered fin for superior heating capacity. The panel coil comes with protection against short and low amperage. Also comes with easy access to electrical panels and pre-wired connections for easier hook-up. The bi-directional liquid line makes it more convenient. All wired parts are welded, for more secure handling and dependability. The device also comes with a defrost Quiet Shift design for easier & quieter performance, alongside a LED diagnostic display to check operation and more. It even comes with factory installed short-cycle protection for more durability. The 4HP14LT heat pump offers 15 SEER rating and 8.5 HSPF rating. Much more dependable and reliable than other models. High-quality construction entirely. Quiet Shift system works outstandingly well with this model, providing a more peaceful and reliable design. Top-notch coil protection only offered in this model for better security in the condenser. Which Ducane heat pumps to pick? Choosing Ducane heat pumps as your heating or cooling devices will immediately bring you a wide array of benefit as the top brands. There’s simply no doubt about how far is Ducane over the contender brands in the market, as it is top-notch in almost every aspect, including costs and overall reliability. However, among the three main heat pumps, this company offers – choosing the best ones is not so easy. But if you really want to know which one will offer the best performance, efficiency, and quality overall – then you need to pick the 4HP16LT model. Easier & more affordable installation thanks to service valves pre-installed and in the perfect position. Quiet Shift and compressor sound cover muffler for easier, more peaceful, and less noisy performance. High-Efficiency 2-stage Copeland motor – capable of providing superb performance without problems. Overall high-quality construction for long-lasting and dependable service at a first-class performance. These are simply the most important reasons why you should go for Ducane heat pumps instead of any other. And with the 4HP16LT model, quality is simply the best.